Who Beats Who is Dead. Long Live Who Beats Who! It’s been a while since we last told you about our wacky party game of hypothetical battles. We expected to put it up on Kickstarter long ago. In the time since a lot has happened, but the most important thing is this: We’ve signed a deal with Game Salute to produce Who Beats Who and run our Kickstarter campaign! The guys at Game Salute are giving us the resources to take the game places we couldn’t on our own. And after talking with them, we agreed that a new name gave the game its best possible chance to succeed. 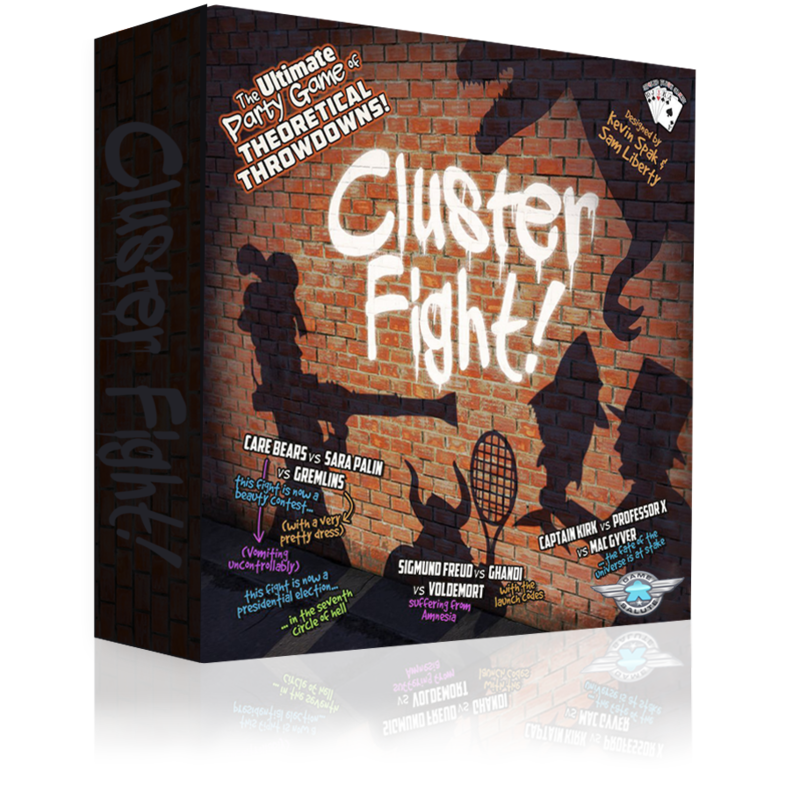 Henceforth, the game you know and love (or have heard and are curious about) will be known as Clusterfight!